The defense in Vergara vs. California today put more distance between student-plaintiffs who described their teachers as ineffective and the teachers, by calling them to the stand to defend their effectiveness. Both teachers, Dawna Watty and Anthony Mize, directly challenged the assertions of their former students — Brandon DeBose and Elizabeth Vegara, whose sister Beatriz is the lead plaintiff in the case. 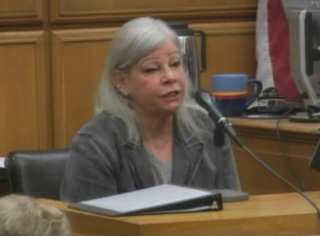 Watty, who was DeBose’s fifth-grade teacher at Ruby Bridges Elementary School in Alameda, told the court that she never told DeBose he wouldn’t amount to anything, as he testified earlier in the case. “That’s not something I would say to anybody,” she said. DeBose and Vergara are among nine students challenging state laws on teacher dismissal, seniority and tenure that they say violate their right to an effective education. As chief defendant in the case, the state contends that to prevail, the students must demonstrate they have been directly harmed by the ineffective teachers the statutes ostensibly protect. The state, and as intervening defendants, the California Teachers Association and the California Federation of Teachers, have now solicited testimony disputing allegations from four of the five students — all but Beatriz Vergara — who have testified, one of them through her father. Watty said she is evaluated every two years and never received a negative evaluation. She also told the court that she never received complaints from DeBose’s parents about her teaching. Anthony Mize, who was Elizabeth Vergara’s eighth-grade English teacher at Maclay Middle School in Pacoima, offered a starkly different version of events from what she described on the stand. While Vergara had told the court she only read one chapter of one book in Mize’s class, he recalled in detail lessons based on novels, reading assignments and writing exercises in which she participated. In contrast to her characterization of him as an ineffective teacher, testifying at one point, “He didn’t teach us anything like how to structure like an essay, how to analyze a story, what an English teacher is supposed to do,” Mize was almost kind in his recollection of her. He also told the court her score on the Scholastic Reading Inventory Test that year improved by 134 points, the equivalent to a year-and-a-half gain in reading comprehension. The defense is expecting to wrap up its case by late next week, after which the plaintiffs plan to spend two to three days of rebuttal. Previous Posts: Witnesses in Vergara v. California hail collaboration despite API gaps; Ex-district chief tells Vergara court teacher laws don’t interfere.